Artículo publicado en Newsletter, número 50, pps. 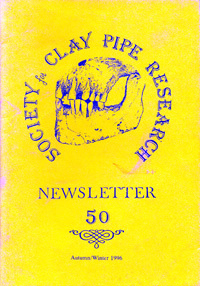 50 a 52, correspondiente al período otoño / invierno de 1996, de la Society for Clay Pipe Research, ISBN 1359-7119, Gran Bretaña. From 1819 to 1825, a large number of small European and South American vessels sailed to the uninhabited Shetland Islands. near Antarctica, to hunt seals for skins and fat. They moved fast and caused almost total extermination of all forms of wild life in the region in little less than five years. Small vessels had probably been touching shore in that area sine the early 19th century, though the first report submitted ovas William Smith’s (Iones 1975; Pinochet de la Barra nd), who thus became the virtual discoverer of Antarctica. From then on, dozens of other ships sailed to the South during the summer, and the crews sheltered in caves or huts made of stones and skins, and concentrated on the mass killing of seals (Fitte 1962; Berguño nd). In the past few years, several teams of archaeologists started to suryey the islands, particularly the summer missions from Spain (Bueno 1993), Chile (Stheberg and Lucero 1995). and lately from Argentina (Senatore and Zarankin 1996); Uruguay is making plans to begin its own studies in the near future (Mazzeo 1994). Prior to this, several collections of objects were carried out by English geologists (Smith and Simpson 1987) and by an Argentine team (the study of objects recoyered in 1994 has been possible thanks to the cooperation and good will of Eng. Roberto Scasso and the Instituto Antartico Argentino). The objects recovered from the Lima Lima cave, formerly known as the Sealer’s Cave, are presented in this study and were rescued by the Argentine teams in 1995 and 1996. The only historie reference known for Livingston Island is the one proyided by Smith and Simpson (1987), when they refer to the finding of a pipe bowl in the cave mentioned aboye, with no further comments. In theirreport, the authors say that the collection of objects they gathered at that time no longer exists. The other collection which has been published, even though it has not been described following international standards, is the twenty fragmenta discovered at Isla Desolación (Stheberg and Lucero 1995, figs 11 and 12); the bowls are decorated and deserye a more in-depth study. Other groups not described here have been found recently in Livingston Island (Senatore and Zarankin 1996). The pipes described here amount to 19 fragments (7 bowls and 13 stems), all made of white caolin and unmarked. The shape of only one bowl fragment can be inferred; it is simple, with a heel, and corresponda chronologically to those dated to the early 19th century (pers. comm. Peter Davey). The stems are all alike and unmarked, although one of them shows evidence of its edge having been cut and worn away by a blade [possibly a mouthpiece?] (Fig.20b). The diameters of the stems range from 1.70mm to 2.20mm and correlate with the datings established for the occupation of the site. These pipe fragments. probably the first described for the far south of the continent, show the presence of caolin pipes manufactured in England that correspond to the context of the cultural remains found at the cave. The cave was occupied between 1819 and 1825 approximately, and was probably reoccupied later on. at the beginning of the 1880s, when hunters returned for a short period to finish off the small number of wild life that was left. In the first years, there is evidence for alterations to the cave, with fireplaces and in the working and living arcas. and the stone wall to provide a better shelter. The set of objects includes textiles, bottles, shoes, remains of different cut or reused pieces of leather, yaried metal and wood objects, and hoops of barrels. The pipes were part of the usual equipment of seamen in those times, and were left there, discarded, alter an extended use. Esta entrada se publicó en Argentina y está etiquetada con Antártida, arqueología, caolin, caolin pipes, England, geologists, islas Shetland, Livingston Island, pipas, pipes, Roberto Scasso, Shetland Islands, sitios arqueológicos en 20 octubre 1996 por Daniel Schávelzon.